Material Design is gaining pace in the community of UI/UX designers and developers across the globe, I see adaption of material design among Rails/.Net and mobile platform. Clearly salesforce is next big platform to try material apps. 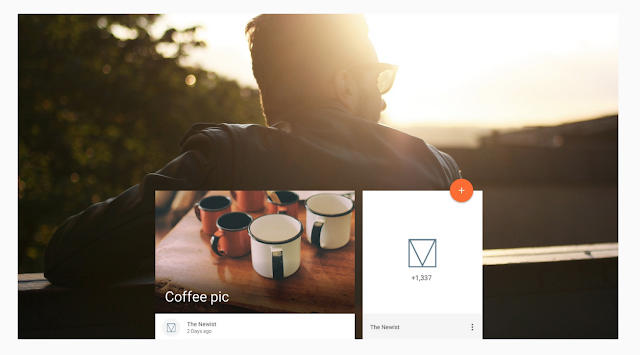 Material is metaphor, it is a design paradigm provided by Google that offer brand new user experience to interact with an application. The colors collection, transition effects, UI components and animations effects. Yes, forget bootstrap, its the time to add more material to your applications. Where do I find Material Design Libraries ? This week, Google have officially launched Material Library (compiled CSS/JS) as stable release under the title 'Material Design-Lite'. I have been building many prototype using Angular and Material on top of Salesforce, before writing a blog post, I learned official annoucement from Google, about material design lite, which is powerful make is super easy to design powerful, interactive application on top of Salesforce. How does the Material Applications look like ? I believe this video embedded below, says more than words created by google, this video demonstrates the experience of material design and will make your re-think before you jump on designing your next project. Who is using this design paradigm already ? What is Materialize, is this Bootstrap Killer ? Yes, it can potentially, but I do not say its a killer but it will make your rethink the way you design your application and if you are considering bootstrap, this is must try. You can refer Feather Github Repo. See the Pen Qbrgjw by Harshit Pandey (@oyecode) on CodePen. I have been developing lightweight page templates that uses material design on top of Force.com Platform. Project feather is open source repo, where ill add collection of material templates to be shared with community. Please feel free to contribute and fork this repo and share your cool ideas to awesome salesforce community.